Post implementation research on non-profit water treatment and watershed management interventions in developing countries. My research focused on ‘research for development’ in developing and emerging countries. There are millions of people every year who die from water related diseases and billions who do not have adequate access to enough food or proper nutrition. One sector addressing these challenges includes ‘research for development’ organizations which strive to find solutions to development challenges through action research. As an interdisciplinary student, I founded my research on evaluating and exploring the limitations of these development approaches through multi-scale assessment. On the largest scale, I worked on evaluating stakeholder satisfaction with an international research for development organization. From there, I utilized social network theory to analyze the regional distribution of the key players and organizations working in water and food security relating development programs. 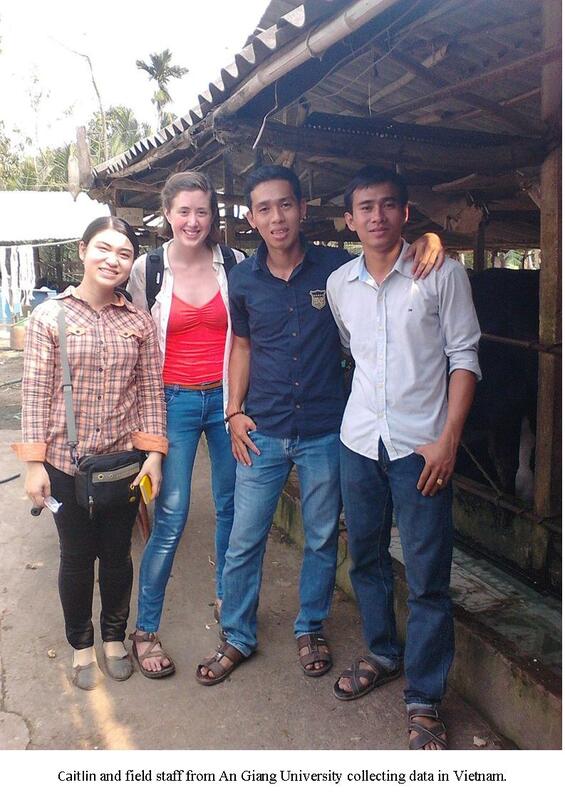 Then, through local scale study, my work consisted of evaluating water quality and access to food in multiple villages in order to assess the success of previously implemented development programs in Southeast Asia and East Africa. It is not very common for an engineer to have political ambitions. Since I was in middle school however, policy and politics are all I’ve wanted to do. As my interest in international policy grew throughout high school and college, so did my interest in water resources. Water is such an important part of everyone’s lives, and is the cause of both conflict and cooperation locally, regionally and globally. In college I was guided by a wonderful advisor who encouraged me to continue technical training in graduate school in order to bring a scientific perspective and understanding into policy in my future profession. At Purdue, the ESE program has allowed me to work on interdisciplinary projects that will prepare me for my future work in policy. At the end of 2014 I moved to DC to experience environmental policy first-hand. My first position included working as a Legislative Assistant for Congresswoman Betty McCollum (MN-04). Over the course of a year I was able to cover a number of policy issues on topics including civil rights, agriculture, and financial services. After working for Congress, I worked on a short project at the Department of Energy and then spent two years as a management analyst at the Department of State. In this role, I served on the U.S. Delegation to the Montreal Protocol and the Multilateral Fund including on the negotiating team for the Kigali Amendment. Since departing the State Department in December 2017, I have joined Penn State University as an Assistant Professor in the Department of Civil and Environmental Engineering and the Rock Ethics Institute. Grady, C. E. Kipkorir, K. Nguyen, E.R. Blatchley III. 2015. 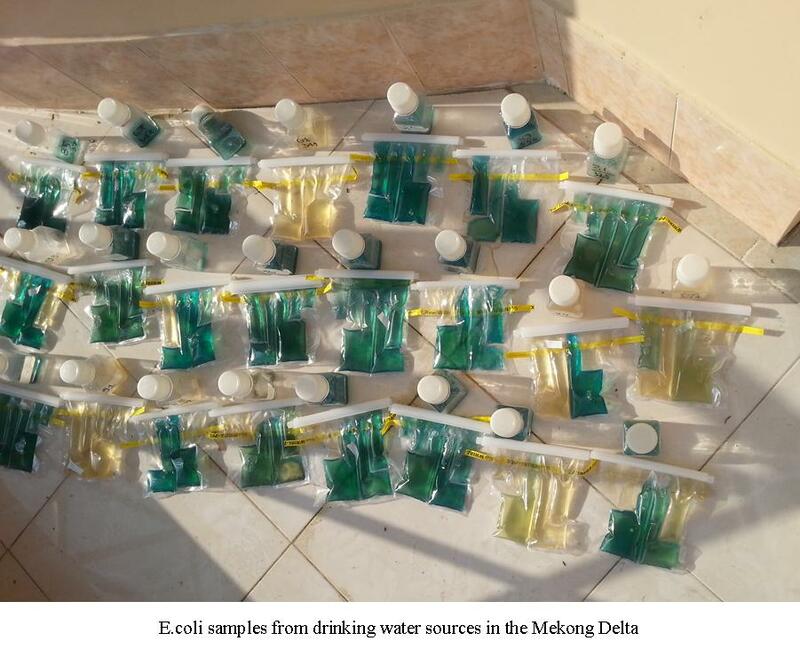 Microbial quality of improved drinking water sources: evidence from western Kenya and southern Vietnam. J. of Water and Health. 13(2): 607–612. Grady, C., A. P. Reimer, J. R. Frankenberger, and L. S. Prokopy. 2013. Locating existing Best Management Practices within a watershed: The value of multiple methods. Journal of American Water Resources Association. 49(4): 883-895. Grady, C. and T. Younos. 2012. Bottled Water Technology and Its Global Ramifications: An Overview. International Water Technology Journal. 2(2):185-195. Younos, T. and C. Grady eds. 2014. Potable Water: Emerging Global Problems and Solutions. The Handbook of Environmental Chemistry. Springer Publishing. ISBN 978-3-319-06562-5. Grady, C., S.C. Weng, and E.R. Blatchley III. 2014. Global potable water: current status, critical problems and future perspectives. In Potable Water: Emerging Global Problems and Solutions. The Handbook of Environmental Chemistry. Springer Publishing. 37-60. Grady, C. March 2014. "Social Network Analysis in the Mekong River Basin: Opportunities for Research". An Giang University. Invited presentation. Long Xuyen, Vietnam. Grady C.. March 2013. "Performance of Biologically-Active Sand Filters for Drinking Water Treatment: Exploration of Biophysical Factors and Consumer Social Behavior Trends in Eldoret, Kenya". Office of Interdisciplinary Graduate Programs Spring Reception. Invited presentation. West Lafayette IN. Grady, C., E.R. Blatchley III, Isaac Soita. February 2013. "Performance of Biologically-Active Sand Filters for Drinking Water Treatment: Exploration of Biophysical Factors and Consumer Social Behavior Trends in Eldoret, Kenya", Disinfection and Public Health Conference. Indianapolis, IN. Grady, C. January 2012. "Preparing Emerging Young Professionals for Transboundary Environmental Research and Leadership through Experiential Learning: The Across Borders Fellowship Program", National Council on Science and the Environment Annual Conference. Washington DC. Grady, C. and M. Schaefer. September 2011. "Water words that work, how to make an engaging brochure", Indiana Watersheds Webinar Series, Invited Presentation. Grady, C. and J. Frankenberger. August 2011. "The impact of scale: evaluation of best management practices in the Eagle Creek watershed", American Society of Agricultural & Biological Engineers Annual Conference, Oral Presentation. Lexington, KY.
Grady, C. April 2011. "Energy implications for the future of desalination", Environmental Virginia Conference, Oral Presentation. Lexington, VA.
Grady, C. March 2011. "Methods for identifying best management practices throughout watersheds in Indiana", Indiana Lakes Management Society, Oral Presentation. Angola, IN. Grady, C. and J. Frankenberger. October 2010, "Integrative approach to analyzing best management practices in the Eagle Creek Watershed", Ecological Sciences and Engineering Symposium, Poster Presentation. West Lafayette, IN. Purdue University.